The Saucony Guide continues to outpace the pack by driving innovation with each update. 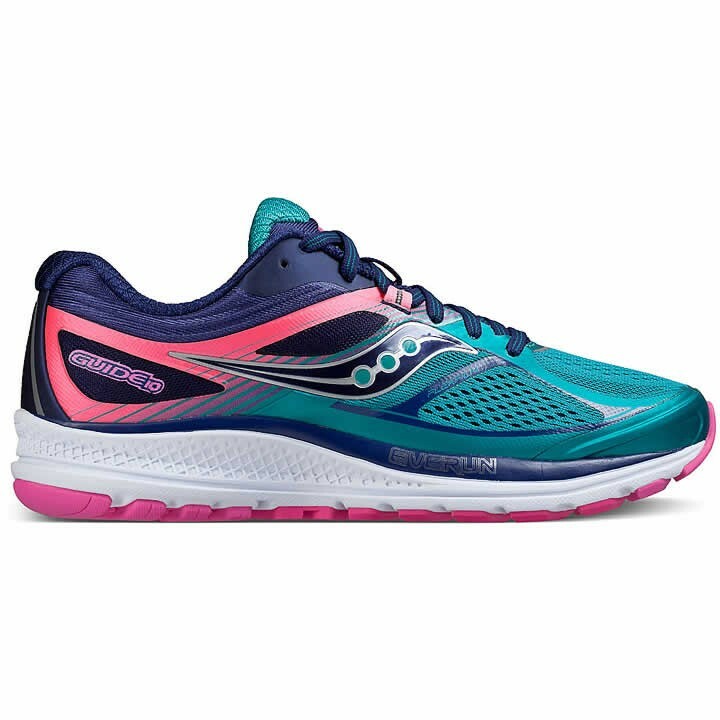 The 10th edition delivers the ideal Guide running experience with a streamlined midsole design, dynamic engineered mesh upper and TRI-FLEX outsole with enhanced forefoot flexibility. Fast feels a little faster in the Guide 10. Designed to gently guide the foot of mild to moderate pronators, while ensuring smooth propulsion at toe-off.